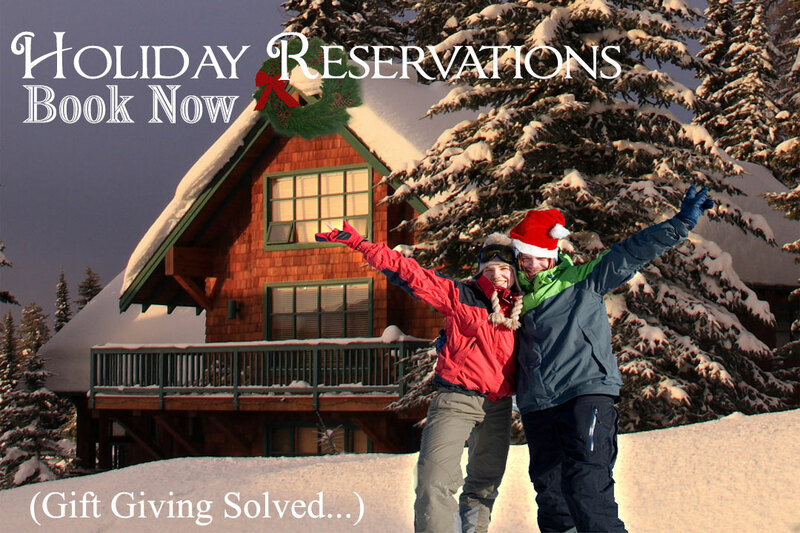 Winter is moving in and that means it is time to make your Big Bear cabin rental reservations for the two weeks of the Christmas holidays. This is absolutely the most popular time to come to Big Bear and New Years is specially busy. Properties will all have various minimums, and if you widh to travel on specific dates, those dates have to be reserved well in advance. If you're much more flexible, and can stay longer than anticipate or shorter than anticipated in order to get the right size place then you can wait. For those who have never been to Big Bear, "cabins" is a word we all use when we refer to any kind of property rental whether it be a home, a townhome or a condominium. Big Bear like most modern resorts do not have small little rustic, old miner style cabins sitting by a lake. The rental properties are family homes, that are unused during the winter, and therefore rented. Yes, some of the houses are true log cabins and therefore look like cabins, but have very luxury amenities such as spas, granite counter tops, stainless steel appliances and designer decor. Private homes are the popular choice whether they are close to the slopes, town or the lake. When traveling, consider that the week before Christmas is a little less crowded, and the prices on your Big Bear vacation rental will be a little bit more reasonable. New Years week is more popular, first to be reserved, and the vacation rentals at Snow Summit and Bear Mountain always sell out early. Early being the key word here, so do book them now. Our 2 star to 5 star cabin rentals are clean and ready to go, you don't have to do a thing. Everything is included. Our selection includes slopeside properties, homes with magnificent views and many with pool tables or game tables and hot tubs to soak after your day of skiing and snow play. Don't forget your snuggly! When searching for the right place for your family, or group, be sure to try different arrival dates and lengths of stay to get the most amount of choices. Holidays have 4 or 5 night minimum stays. If you don't wish to stay that long you may need to wait until you reserve, or as always, call us for help finding it Since 2007, City Concierge resort reservations for Big Bear vacations with automated online reservations for most all our rentals. We're still here to help. Call us at 866-864-6444 we're here everyday. Happy Holidays!